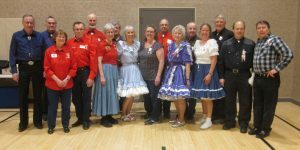 April 27, 2018 – Gospel Plus Square Dance, Hopkins, Caller Tom Allen, Cuer Ken LaBau. Six and a half squares with dancers from Ar-Dale Dancers, Beaux & Belles, County Line Squares, Crystal Cross Trailers, Dakota Grand Squares, Hot Foot Stompers, Single Circles, South Metro Stars,. 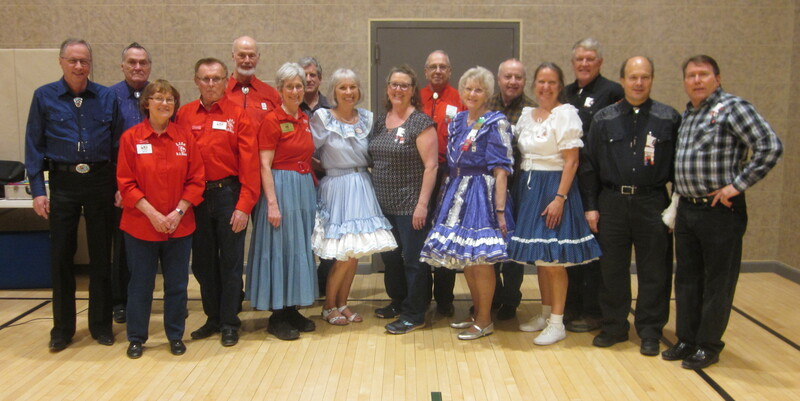 Spares & Pairs, Square & Twirl, Wandering Wheels, and Westonka Whirlers (see photo above) were present. 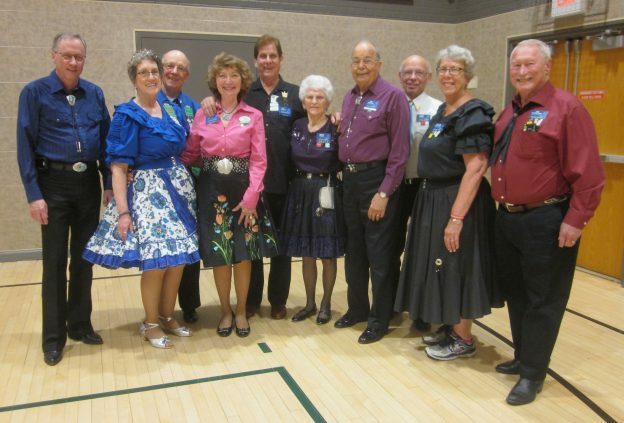 Also present were County Line Squares Queen Gael and King Doug, Spares & Pairs Queen Jennifer and King Barry, SDM Chair LeRoy Elfmann, SDM Secretary Gael Zachman, SDM Education Director Barry Downs, SDM Historian Al Martin, and SDM Membership Director Mary Kay Amberg.